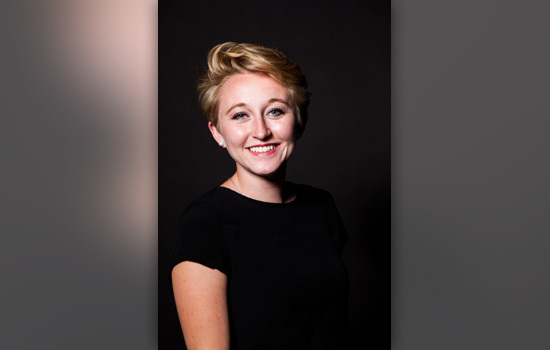 Zoë Gomer, S/IDSA, a third-year industrial design student at Rochester Institute of Technology (RIT) and the president of the IDSA Student Chapter at RIT, is a key organizer of Thought at Work, an annual, student-run design conference. The three-day event, held every October, brings together industry professionals—with hundreds of students for inspiration, collaboration and instruction. Gomer first attended Thought at Work her freshman year. “Each year I’ve taken on more responsibilities and I’ve gotten more involved. Through my involvement with Thought at Work, I’ve grown some of my closest friendships and met some really cool people who I might not have known otherwise,” she says. Those connections could help her in the future. "I would love to work in the fast-paced, non-stop environment present at most consultancies while I’m young," she says. "I think that kind of environment would allow for quicker growth and greater exposure to the design world and its offerings."